The garden is getting a little ahead of myself. 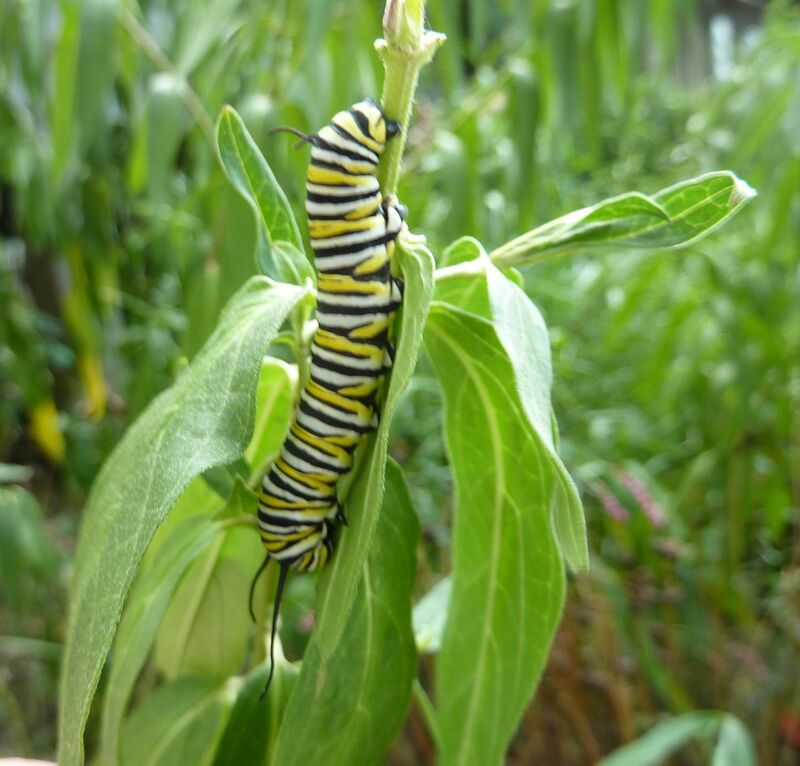 On the first of August we saw our first Monarch butterfly laying eggs on the milkweed. The eggs typically take 3 days to hatch and the resulting caterpillars are barely bigger than the white dot they hatched out of. So I have no idea how I missed this one! This picture was taken a week ago and it's clearly a few weeks farther along than it should be. Not that I'm complaining of course. I'm marveling over how easy something that big is to miss.